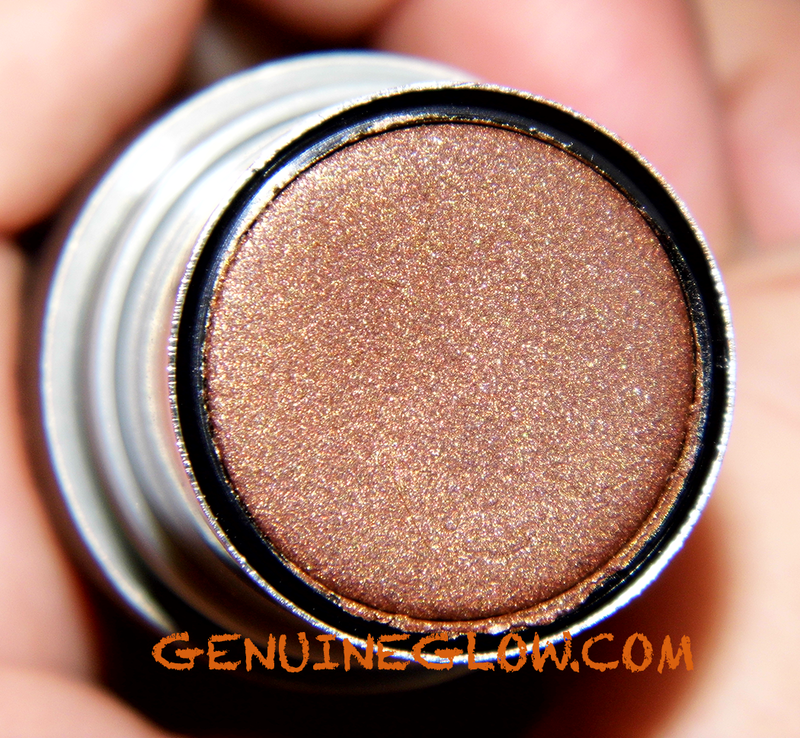 I promised I would not come back with another lippie review, so I picked the Ilia Beauty Illuminator in the shade Sway. During the holidays I began to play with it to see how I could use it. 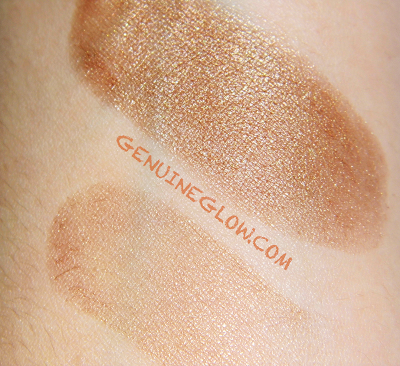 I only found one other review on the web by the lovely london makeup girl and I thought it would be nice to add my thoughts, and share a few more photos and swatches, in case you had your eye on this product. This is a really interesting product that can be used in different ways, as long as the shade is right for your skin tone. Although it is called an illuminator, it can also fit in the bronzer/cream eyeshadow category. Color: This shade, Sway, is described as a bronze. It is a really intense warm bronze shade with golden and coppery shimmer, and it is achieved with 100% natural dye, just like the tinted lip conditioner in Nobody's Baby. If applied lightly, it is quite sheer and can be used as highlighter by people with medium to deeper skin tones. 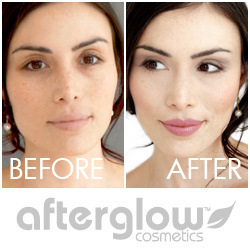 People with lighter skin tones can instead use it as a sheer bronzer and as a cream eyeshadow. The shimmer is quite subtle, and looks much more visible in photos than in real life. I think that it is a gorgeous color, and looks very natural on the skin. Scent/Taste: It does not have any particular scent. In case you are familiar with the tinted lip conditioners, this smells just like them. No scent/perfume added at all. Consistency: It comes in a tube, and feels like a solid gel-balm. The trick of warming up the tip of the tube with your finger and then apply it works very well with this one, too, especially if you want to use it on your eyelids. You can also apply it straight on your face, by dabbing and blending, because it is very creamy. Application: My favorite way to use it is as a bronzer/contour. I apply it lightly on my eye lids with my fingers, and then swab the tube on my cheeks and blend it in. I think that it makes my skin look very pretty, and has very good staying power. I have been adding some RMS Beauty luminizer on my cheekbones and brow bones, and I find that they make a great combination for my skin, adding some luminosity and definition to my face. Ingredients: Ricinus Communis (Castor) Seed Oil*, Sesamum Indicum (Sesame) Seed Oil*, Theobroma Cacao (Cocoa) Seed Butter*, Beeswax (Cera Alba)*, Trioctyldodecyl Citrate, Euphorbia Cerifera (Candelilla) Wax, Manihot Esculenta (Tapioca) Starch*, Glycine Soja (Soybean) Oil, Helianthus Annuus (Sunflower) Seed Oil*, Rosa Canina (Rose Hip) Fruit Oil, Tocopherol Acetate (Natural Vitamin E). May Contain: Mica, Titanium Dioxide, Iron Oxide (Ci 77499, Ci 77492, Ci 77491), Red 7 Ci15850, Red 28 Ci45410, Yellow 5 Ci19140. Price: $34. 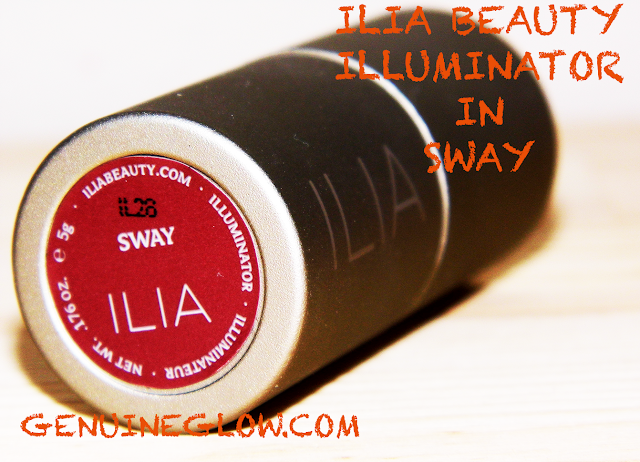 Ilia Beauty Illuminator in Sway can be purchased from Barney's here with free shipping. Final Thoughts: Once again, I was extremely happy with my Ilia Beauty purchase. I particularly like that I can use this product in different ways, and that the shade is absolutely perfect for my skin tone. My only complaint is the size of this one, because it contains 5 grams of product, and I was hoping for more. I will definitely repurchase it, because I really like the way it makes my skin look. Have you tried any Ilia Beauty face product? Comment below & let me know!